Urban Bike Project has partnered with a variety of schools and organizations to deliver tailored Earn-A-Bike programs to Wilmington’s youth. Some examples of our past partners include Urban Promise Academy, Terry Children’s Psychiatric Center, Bayard Middle School, Harlan Elementary School, Bellevue Community Center, the Community Education Building, Boys and Girls Club, and Howard High School. Students spend 10 weeks refurbishing a bicycle while developing basic mechanics skills, practicing problem-solving, and learning how to ride their bicycles safely. 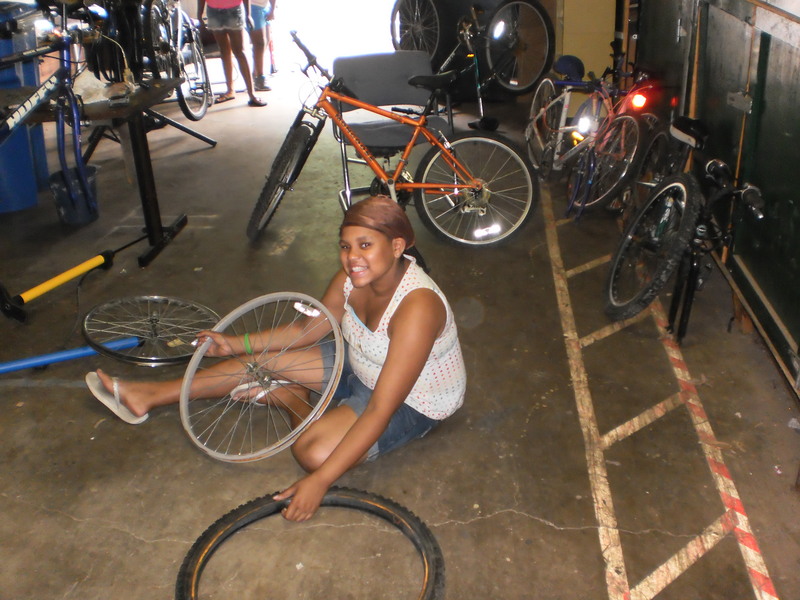 Students who graduate the program keep their refurbished bicycles and receive helmets free of charge. Programs are available to all Wilmington area schools and youth organizations. Scheduling is flexible to accommodate your organization’s calendar. If you represent a school or youth organization that might be interested in hosting an Earn-A-Bike program and would like more information, please contact Laura Wilburn at wilburn.laura@gmail.com. You may also refer to our Program Guide for more information. If your school or youth organization is interested in applying for full or partial scholarship funding to defray the costs of hosting an Earn-A-Bike program, you may find the application here. Scholarship funds are generously provided by the Wilmington Area Planning Council.